I spent time walking around the the Peak Hill open cut mine which is just 200 Metres from the small country township of Peak Hill (population 1,400). In six years from 1996-2002, the top of the hill disappeared, becoming a pit. Compare this to the first gold rush of 1889-1896. 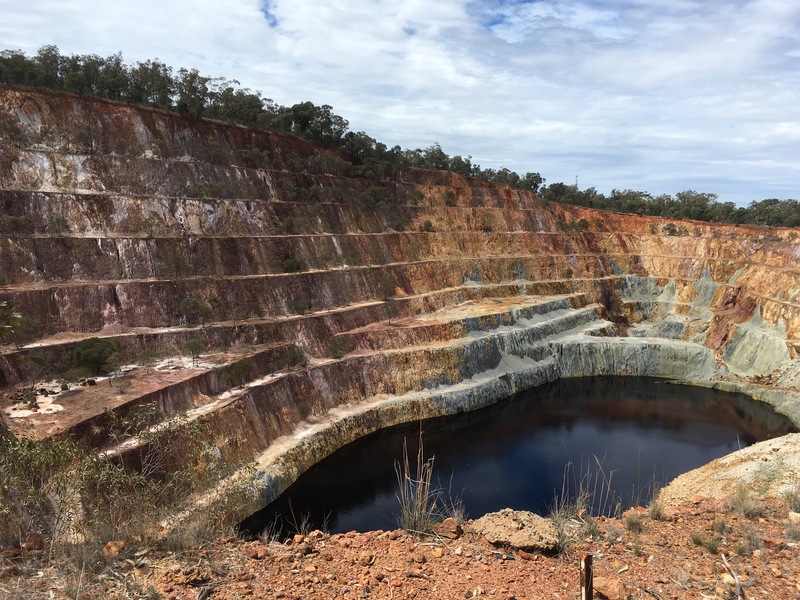 Whilst not lopping off a hilltop, a feat only made possible by modern technology, the first gold mining at Peak Hill left its environmental mark too. Pitted with shafts and polluted with cyanide, the site was far from pristine. Like all mineral “booms” it caused the sleepy town to prosper, going from a population of 1500 to 9,000 people. All this reminded me of how much we humans shape our landscape and nature. It was this time last year that ‘The things we do to trees’ emerged as a theme. On the road again, picking up silk ties from op shops. Who knows what will emerge this year? The similarities between my painting The Escarpment and the Alkane Resources Peak Hill open cut mine struck me. 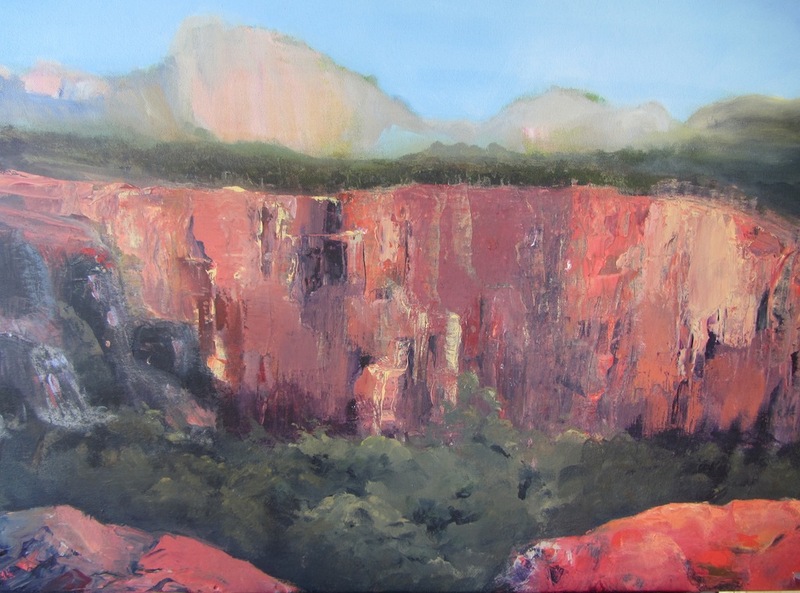 The Warrumbungle Mountain Range north of Peak Hill is where the inspiration for the painting came from. At the time of painting I had not visited the Peak Hills mine site.